Lower cost and enviromentally friendly. 1000 times full charging capability. Provide maximum power output up to 15A, compact size, suitable for various kinds of high drain flashlights, no memory effects, and extremely low self-discharge battery power. Protected with nickel-plated S.S protector. The MRB-266P45 is a newly released 18650 Li-ion rechargeable battery by IMALENT, specially designed for high drain flashlight consumption, it optimizes all kinds of design, with high capacity and performance, safety features, compact size, compatible with various kind of high drain flashlights. 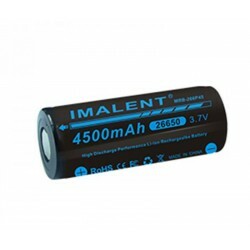 The IMALENT MRB-266P45 will definitely be your best choice of 26650 Li-ion rechargeable batteries. 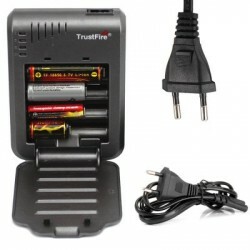 This TrustFire TR-003P4 Battery Charger uses a linear mode control to achieve reliable battery charging, thus to ensure the battery being fully charged and can extend battery life. Dual input ports and four slots to meet your different needs. 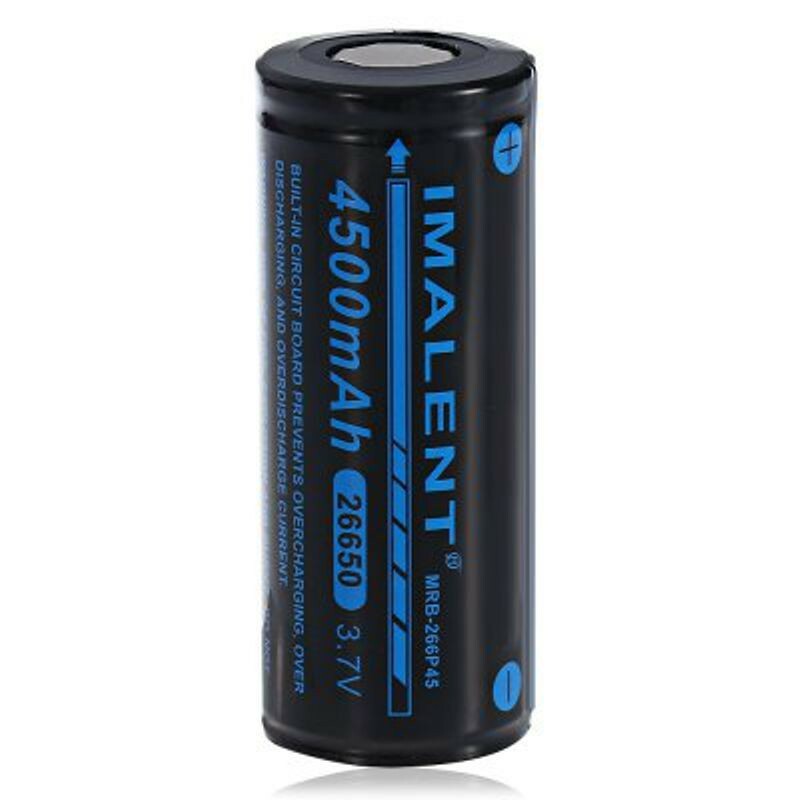 Huge compatibility, suitable for a variety of sizes of lithium batteries. 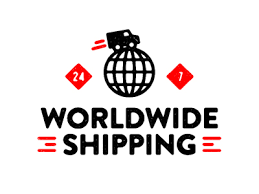 Lower cost and enviromentally friendly. 1000 times full charging capability. Provide maximum power output up to 15A, compact size, suitable for various kinds of high drain flashlights, no memory effects, and extremely low self-discharge battery power.